The library is the perfect place for community groups to meet. 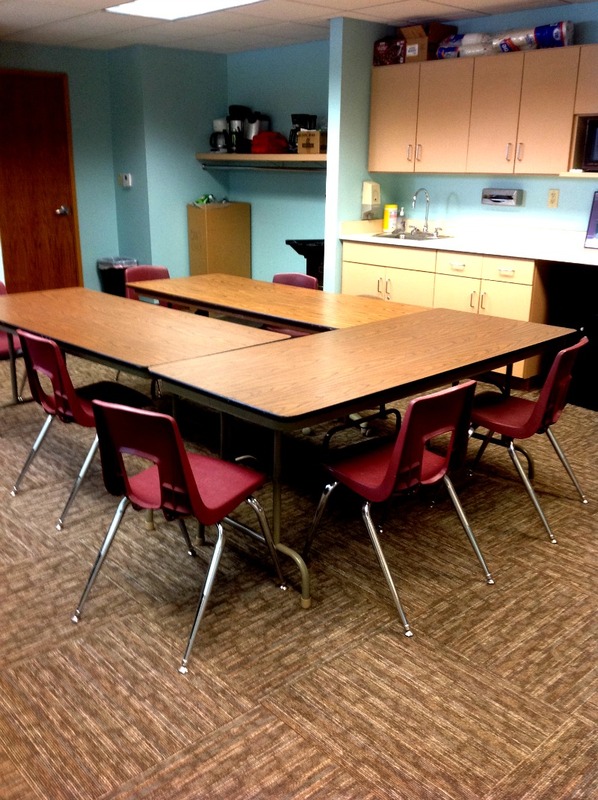 Namely, the community room offers a free place for your group to meet. Many scout troops and community service groups make their home already at the library so ask us at the library or check the community room calendar to see if it would work for you. The space has tables and chairs for about 30 people and offers a small sink and counter area for any food you might want to bring in. It includes a small refrigerator/freezer for any quickly perishable items that you might want to bring. The library is also happy to help with any additional interests you might have in using the library – helping kids learn to use computers, providing laptops for multiple group members to use, or setting up a TV or projector for watching videos or slide shows. There are also full details and requirements for the use of the community room online should you want more information.